I found this to be a wonderful read from one of my favourite authors! It's a fascinating look back over an extraordinary life after Rosamund, an author, passes away. She never spoke much of her past but when she dies she leaves behind a finished novel and a ragged envelope full of letters and keepsakes - an imaginative way to tell her story. It was lovely to hear her story through her words as she looked back - the idyllic childhood in the countryside, the governess she adored, the friends she met, and then how she dealt with the tragedy of losing her parents and what that meant for her life, as it all changed so quickly. 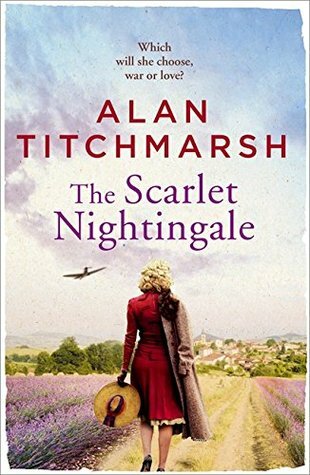 The time period is set just before the War so the threat is always close by, and when she moves to London to live with her Aunt, it becomes even more of a reality and she is eager to 'do her bit' but is unsure how she can help. She isn't afraid of a challenge though and she soon finds herself closer to the action than she could have ever imagined - part of a team who are in France to follow orders. I love the relaxed style of storytelling throughout - scenes are beautifully set, characters are brought to life with their strengths and flaws and in Rosamund is a really intriguing character. So headstrong and inquisitive, but often naive and watching her blossom from childhood to adulthood is a wonderful journey that we get to share in. She isn't content to sit back and enjoy a luxurious life, even if it means putting herself in danger. She is also aware of those she meets risking their lives too and that adds a real emotional element to the storyline as she faces so many obstacles. I loved how it showed that people find strength when facing adversity and I thoroughly enjoyed every moment!